Bitcoin has become very popular over the years due to it's high return on investment. Bitcoin rose to a whooping sum of $10,726.45 as at November 2017, which is an increase of 1,374 percent when compared to it's 2016 value of $742.01. It broke a $10,000's record becoming on the 28th of November, 2017 becoming one of the 30th most used currencies in the world. After that, it's value rose again by $1,000 though it later dropped the following day. With these, you can see that investing on bitcoin is really worth it, you can see what someone that bought it in 2016 would have gained by 2017. In spite of all these, it is also worth knowing that the future of bitcoin is unpredictable. It's rise has also been marked with more calls for regulation, predictions that it might fail and even many risks of the possibility of it being hacked. 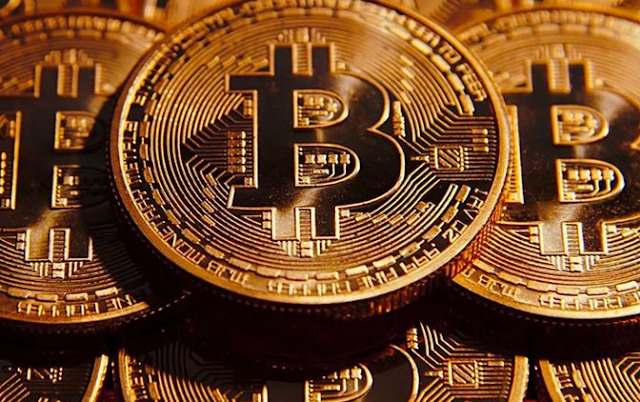 On February 6th 2018, it was reported that the value of bitcoin had reduced to $6,000 (for the first time since November 2017). Apart from bitcoin, other crypto-currencies were also reported to have dropped below their December values. Having read the above paragraph, you might be wondering what the word bitcoin is all about. Bitcoin is nothing more than a crypto-currency. According to Wikipedia, it is a decentralized digital currency. It is a kind of system that works without any single administrator or central bank. 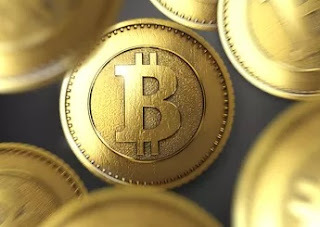 In bitcoin, encryption techniques are used for regulating and controlling currency units' generation and verification of the transfer of the funds. An image of a physical bitcoin. Note: Physical bitcoin coins do not really exist. 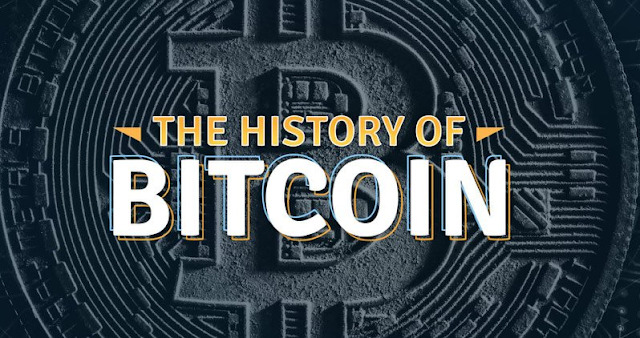 Bitcoin was invented in 2009 by a person (or group) who called himself Satoshi Nakamoto. According to him, he wanted to create a 'new electronic cash system' that has no central system or server. After the concept as cultivated, he in 2011 turned out the source codes to the others in the bitcoin community and vanished. It has no specific value, it is determined by what the investors are ready to pay for it at any given time. Mining of bitcoin is a popular term used by bitcoin investors. You can mine bitcoin by doing a series of record-keeping and advanced mathematics. When bitcoin is transferred to someone, it is recorded in a blockchain, which is accessible to all that partook in that particular transaction. There are virtually many ways of earning bitcoins, some are free while the rest are paid. But in all, you need to work for them. 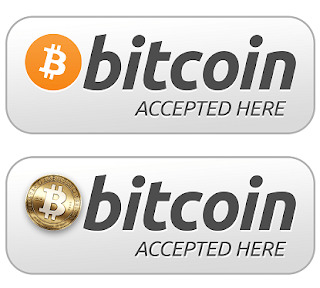 There are three ways of accepting bitcoins in your site, whether an online business or offline one. You can earn bitcoins by using them as a means of receiving payments from your site. You can sign-up to NGExchanger and get a free bitcoin wallet. If you are not a Nigerian, you can join coinbase, as at the time this post was written, coinbase was not allowing Nigerians to carryout transactions with the site, however, you can still check it out to know if they have started, they will allow you to sign-up and there are other ways of earning from the site as a Nigerian. Apart from NGExchanger, there are also many other bitcoin wallets, all you need is to browse the reviews of the site before joining. However, no wallet is 100% safe, so it's advisable if you split your money between two. You can add a QR code in your site that your clients can scan to pay you through. 1) Go to your wallet, if you don't have one already, you can create in NGExchanger or coinbase. 2) Go to 'Receive funds' section or 'add funds' section. 3) Print out the QR-code and place it near the cashier (for offline businesses) or screenshot it and then crop. 4) When your customers want to pay, they will make use of the bitcoin app already installed on their mobile devices, then they'll select the currency and amount, and it's over. 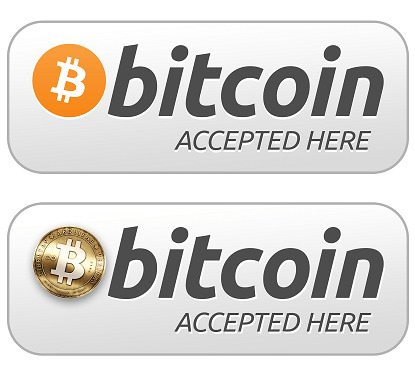 You can display a photo to show that you accept bitcoin payments on your shop or site. A sample photo is given below. Click image to zoom and download! This is also another way of earning bitcoins, the whole thing there is that you pay for it with your time and data. However, I will tell you that the pay is small, if you really want to make money online, you'll have to consider other ways of doing so. If you think the time is worth spending, then check out these few sites. FreeDigitalMoney: This site pays you by getting rewards for bitcoin purchases. Ads4BTC: It pays you for viewing ads. VidyBit: This site will pay you for watching videos. CoinAdder: Just as the one listed above, you'll be paid for watching videos and viewing ads. BitForTip: This is a different one. It is a forum that pays you bitcoins for answering questions. CoinWorker: You'll create an account to be able to use this site, then you'll earn bitcoins when you complete analytical tasks. It seems like there pay is a bit higher the the above listed sites though I haven't tried them. This is truly a good option for earning bitcoins, but just like getting paid for shortening url, or completing surveys its pay is small. If you really want to get paid online, you have to do things like blogging, affiliate marketing, freelancing, internet marketing, domain flipping, graphics designing or other good ways. If you already have a bitcoin wallet, then you can earn by lending out the bitcoins and then earning an interest on them. You can lend directly to your friends or family members, it requires trust so only lend to people you can actually trust. Another way is to lend through a peer-to-peer lending site. A good example of them is the Bitbond. Any site you are using needs to be trust worthy. You can check out this post for identifying scam websites. You can also use a bitcoin banking model. In this, you'll be paid fixed interest rates on your bitcoins. You can mine bitcoin by doing a series of record-keeping and advanced mathematics. When bitcoin is transferred to someone, it is recorded in a blockchain, which is accessible to all that partook in that particular transaction. You can also join a mining-pool like bitminter. However, mining bitcoins is a time-consuming and expensive process and you need to make a cost-benefit analysis before going into it. This means buying bitcoins and selling them off when you think the market cost rises. One of the safest ways of trading on bitcoins is by arbitrage. Arbitrage simply means the simultaneous buying and selling of currency, securities, or commodities in different markets or in derivative forms in order to take advantage of differing prices for the same asset. You can also earn from bitcoins like I stated above, buying it when the price is low and then selling it off when it rises. However, in this method, you need to be very clever and also have the ability to predict very well. This is if you want to make it a regular source of income. You can join an affiliate program for selling and buying of bitcoins. One good news is that it'll offer you a work from home opportunity. You can also join job boards that pay by bitcoin and receive payouts to your wallet. - Bitcointalk Forum Services Section: You can go to this forum to view listed jobs. The jobs here are easily done and within a short period of time and it's a good option if you want to be paid by bitcoins easily. - Bitgigs: This is an online job board like Fiverr, you get paid for tasks completed in bitcoins. - XBTFreelancer: This is another job board however, the jobs listed here are mostly software related. - BitWage: This will help you find remote jobs in your area that pay via bitcoins. They'll help you earn bitcoins for doing your regular jobs. - Coinality: This site is loved because they not only display jobs, but show them in a map. You can easily find a job listing close to your area and get paid by bitcoin. - Find bitcoin jobs on Reddit: You can also go to Reddit to find jobs although the job listings are mostly for programmers. Yes, you heard me right but it's not for everybody. I don't advise any one to go into gambling because I'm not into it, however, it is one of the ways of earning bitcoins. Thanks for reading through, hope the topic was interesting? Can you invest in bitcoin after reading this? If yes tell us why, if know tell us why in the comment section below. Any other thing, please contact us or drop them as a comment below!